The humble onion is one of the most versatile of vegetables. It provides extra taste and vibrancy to our cooking and meals and it is well known for its many health benefits, but cutting an onion can be a misery, as its vapors can cause our eyes to sting and burn and stream with tears and its odor can be a problem for some people. An onion chopper is a super smart gadget that allows you to chop onions to your heart's content with no discomfort. If you are still chopping onions the old fashioned way: it is time to invest in an onion chopper. An onion chopper will eliminate the discomfort that can be caused from cutting onions and stop your hands from harboring that offensive onion smell and the sticky residue that can be transferred to other ingredients, and it will speed up your food preparation tasks. Depending on the manufacturer, an onion chopper will use a different modus operandi to chop up onions. The chopper may require you to pull a cord, press down on the lid, press a button or turn a dial so there is an onion chopper to suit everyone. One of the most versatile kitchen gadgets, the onion chopper can do a lot more than just chop onions. It can be used to chop, mince, blend or puree other vegetables, herbs, fruit, small portions of meat, nuts, chocolate or even ice! Besides its multifunctional capabilities, an onion chopper is a perfect choice for any home cook or chef as it can take all the hard work out of cutting vegetables with a kitchen knife, which can also be dangerous if the knife slips or gets stuck inside the food you are trying to cut and chop. Our top pick for the best onion chopper is the Brieftons QuickPull Food Chopper. If you love your onions but hate the burning and stinging in your eyes that their vapors can cause, Brieftons QuickPull food chopper is a top quality kitchen gadget that will turn your messy food preparations into a delight. This stylish chopper has everything you need, a strong cord and 3 razor sharp blades that can chop, mince, mix, blend and puree onions and other types of food and its container can hold up to 4 cups. 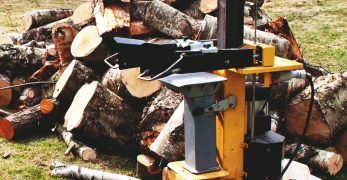 As well as its solid chopping performance, Brieftons offer an extremely generous unconditional money back guarantee, which makes this chopping wonder excellent value for money. Most onion choppers are manually operated but they are very easy to operate. 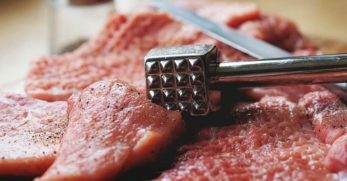 They may have a pull cord that operates the razor sharp blades like the Kuhn Rikon Swiss Pull Chop or the Brieftons QuickPull Food Chopper. If you are a backpacker or love to go camping why not consider the LOVKITCHEN Food Chopper. It is very compact and will fit easily into your hand and with just a few pulls of the cord, it will chop onions and other types of food quickly and cleanly. Manual onion choppers may require some effort depending on the type of food you want to chop so if you prefer an effortless gadget, there are push-plunger choppers which require you to press down on the top of the unit which allows the blades to cut through the flesh of the onion or other ingredients quickly, like the Müeller Onion Chopper Pro Vegetable Chopper or Vidalia Chop Wizard. Electric onion/food choppers are a great choice for super fast chopping and they are very convenient as you can leave them on your countertop until you are ready to use them. They require no effort and are ideal for people who have arthritis or for seniors who are experiencing diminished strength in their hands and arms. Electrically powered choppers can be operated with just a press of a button like the Ninja Express or a flip of a dial like the Proctor Silex Food Chopper. Stainless steel is a popular material for most cookware, and food chopper's blades are also made out of this strong and durable material. 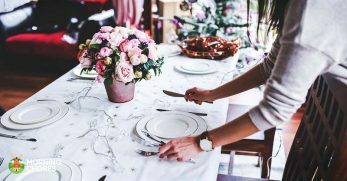 As well as being the number one choice for all chopping tasks, stainless-steel is famous for its high-level rust and corrosion resistance, which comes in handy for watery foods like onions, tomatoes, and cucumber. While some onion choppers have two blades that can make quick work out of chopping a few onions, others have 3 blades like the Brieftons QuickPull Food Chopper or even 5 blades like the LOVKITCHEN Manual Food Chopper which can process a lot of food and can cut with a high-level of precision. 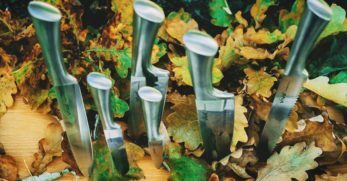 Some manufacturers house their sharp blades in a chopping screen like Müeller or they can be stored safely in a sturdy lid like the LOVKITCHEN chopper or the blades might come with a blade protector like the Kuhn Rikon Swiss Pull Chop. Even if the manufacturer designs their chopping gadget with these safety features, take extra care when using and cleaning the blades as they are razor sharp and can cut more than just your choice of food. Storage containers are usually made out of durable ABS plastic that is BPA-free and food safe and they can range in size or capacity. The bowl size can range from a small capacity which can hold 2 cups or larger sizes that can hold up to 3 or 4 cups of small or large ingredients. While most food choppers have easy to remove parts, lid, and container, that can go straight into the dishwasher, the blades should be washed and dried by hand to keep them in excellent working condition. 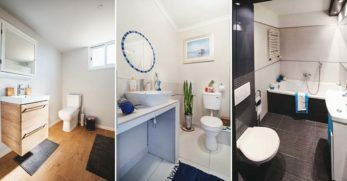 Warranty is one of the most important features of any household appliance and it comes in handy if you experience any problems within the warranty period. 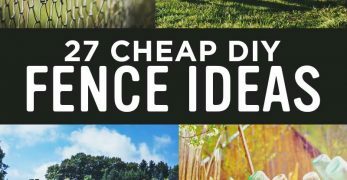 Most food choppers have a 1-year warranty, but manufacturers like Kuhn Rikon offer a 2-year warranty. Some manufacturers are extra generous and offer a full unconditional money-back guarantee like Brieftons. Müeller offers an excellent support service and a lifetime warranty. 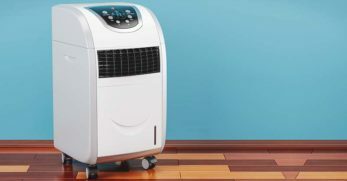 Some people overlook the warranty and end up discarding the gadget or appliance due to its unsatisfactory performance or when it breaks straight after they have bought it, inside of contacting the manufacturer immediately. Remember! Your hard earned cash is being spent so why not take advantage of the warranty. If the unit breaks or fails to operate the way it should, and it is not due to operator fallibility, the parts will be replaced or the unit will be repaired at no extra cost. Be aware though, you must contact the company during the warranty period and the warranty may have limitations, so always read the warranty specifications before you buy your new onion chopper. One of the best hand-operated onion choppers available, the Müeller Onion Chopper will not only save your eyes from getting irritated from the onion's vapors but it's very handy storage container collects the chopped onions so that the onion’s smell is not left on your fingers. The onion chopper is a “must-have” multifunctional chopping tool that will save you time and effort in your food preparation tasks and it is great value for money. There are two ultra-sharp German-designed 420-grade hardened stainless steel disc inserts that deliver 30% super fast heavy-duty chopping and dicing. You can use it not just for chopping onions, cheese, and fruit but it can chop and dice even the hardest vegetables. As well as being super fast and very easy to use, the Mueller onion chopper features a high-quality design. It is made from BPA-free professional grade, heavy duty reinforced food grade ABS plastic that is FDA certified and the storage container can hold up to 4 cups or 1.2 liters of onions or other ingredients, and the container has a lid for easy storage. The chopping screen that houses the blades is very easy to remove and all of the plastic is dishwasher safe but to maintain the sharpness of the blades, it is best to hand wash the cutting screen. The onion chopper comes with razor sharp Müeller stainless steel discs, a 4-cup container, a cleaning brush, and a bonus recipe e-book. Müeller offers a very generous lifetime warranty and telephone customer support if you have any problems with the onion chopper. With five sharp blades and a large 900ml storage container, and an ability to perform a lot of different functions for a wide range of ingredients, the manual food chopper from Lovkitchen is the perfect choice for your food chopping tasks. 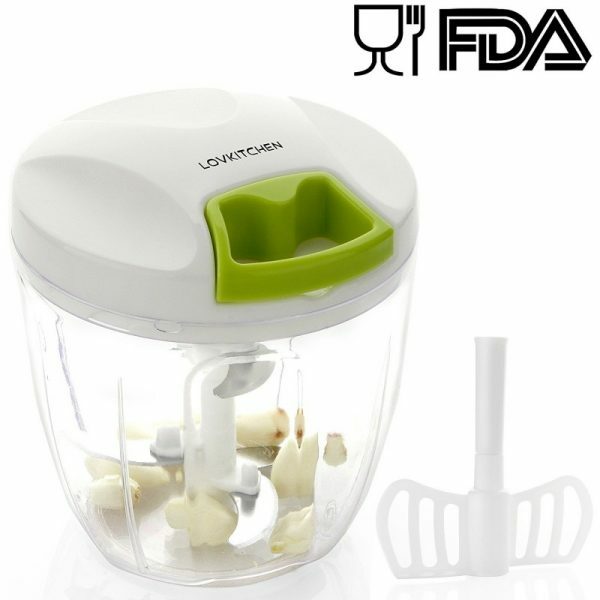 The Lovkitchen food chopper features an innovative design and superb functionality that allows you to control the level of crushing according to the types of ingredients you will be using, and as well as chopping onions and vegetables, herbs and fruits, you can use it to mince meat, garlic, pepper and even crush nuts. Whether you need to prepare a spicy salsa, a fresh salad, or blend multiple ingredients for a tasty pesto or a juice or beat eggs for an omelet, the Lovkitchen food chopper offers you a lot of versatility. 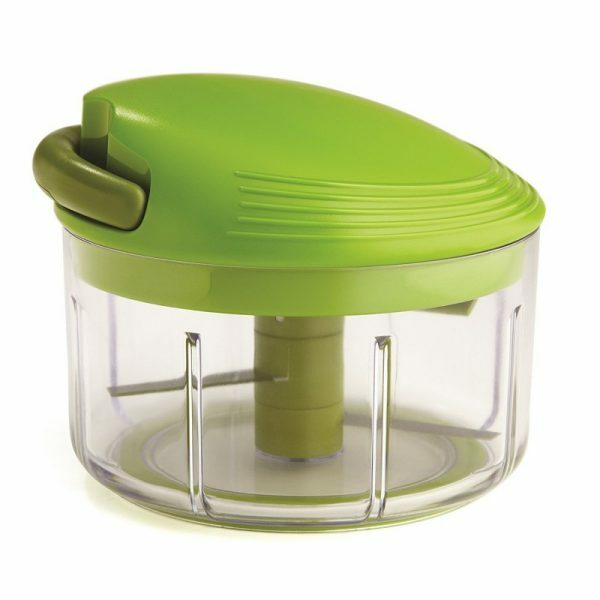 The food chopper has a compact size and it is made from high-quality food-grade FDA approved and BPA-free ABS plastic and the five 420-grade stainless steel blades are strong and very sharp, and their built-in precision gear is safely contained in the sturdy lid. 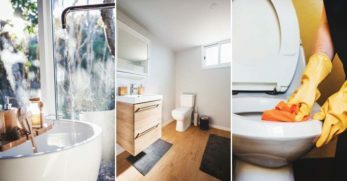 The unit can be dissembled for quick cleaning and the blades, bowl and lid are dishwasher safe. 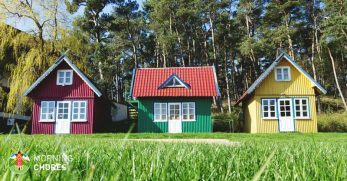 As the chopper can be used without electricity or batteries and it is made from lightweight materials, it is a great choice for when you are camping. 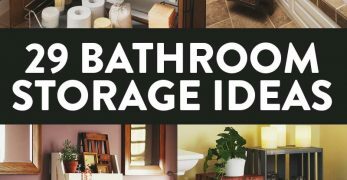 You can even take the blade out and use the unit as a storage container. The blades are super sharp so please keep the gadget away from children and be extra careful while disassembling, and do not place this product in the microwave for heating or cooking. 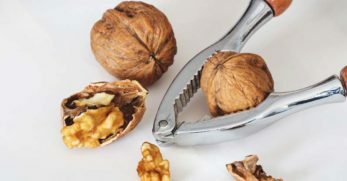 Do not use the chopper for hard shell foods like coffee beans, bones or shells. 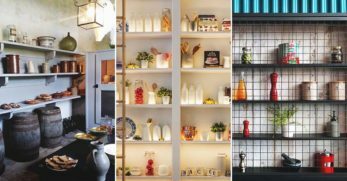 As well as the large size, Lovkitchen also makes a smaller size. Love onions, but hate the vapors that make your eyes sting and burn? Invest in the Vidalia Chop Wizard. This compact 2-in-one kitchen gadget is the perfect choice for chopping onion, vegetables, cheese, and fruit. It is very easy to use and with just one press of your hand, you can cut through onions and fruit and veggies without any bruising or crushing them into a pulp. 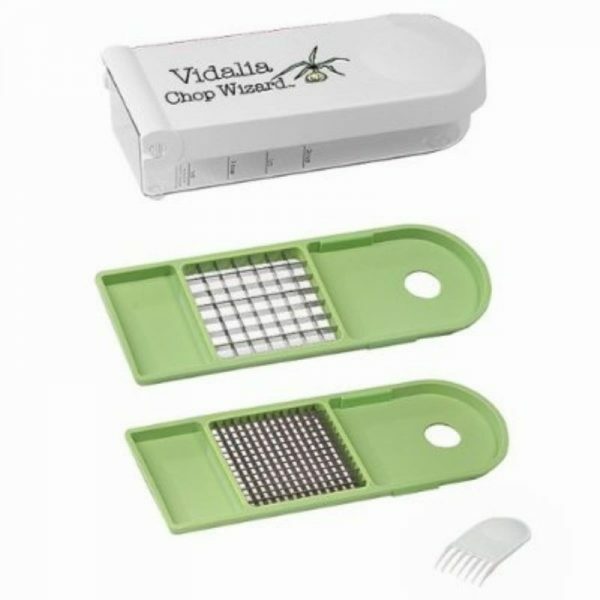 The Vidalia Chop Wizard has a simple design, and the sharp blades are made out of strong stainless steel, so they are very durable and will resist any rust or corrosion. There are two different sizes of blades so you can choose the right size to suit whatever you want to chop. The plastic container can also be used as a measuring cup with marks from 1/2 up to 2 cups and the chop wizard comes with a lid cleaning tool and the parts can be put into the dishwasher. As this kitchen gadget is compact and lightweight, it is ideal for backpackers on the go and for food preparation on a camping trip. The Swiss company Kuhn Rikon has been creating innovative food preparation products since 1926 and their dedication to manufacturing high-quality products are encapsulated in this solid and sturdy onion chopper. Whether it is preparing finely chopped onions or garlic or mincing chicken or mince, carrots, celery, fruit, and even chopping nut, this smart chopping invention can chop food into coarse, medium or fine textures. The Swiss Pull Chop is so easy to use, just place it on the countertop and the non-slip base will hold the unit in place, and as you pull the cord out a few times, the super stay sharp blades will cut through your ingredients fast! 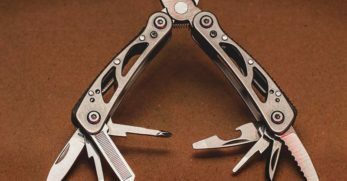 The reason why the Swiss Pull Chop is so effective and fast working is due to the two independently moving blades that cut with a high-level cutting precision. 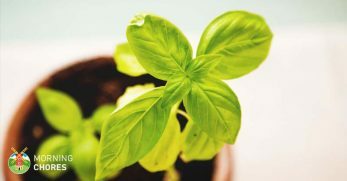 As well as collecting the chopped ingredients, the strong plastic container with its bright green lid can also be used to store your ingredients and it is large enough to contain up to 2 cups and you can easily fit small or large pieces of vegetables or fruit inside. The stainless steel blades come with a blade protector, which can be removed when it needs to be cleaned and all of the plastic components can go straight into the dishwasher. 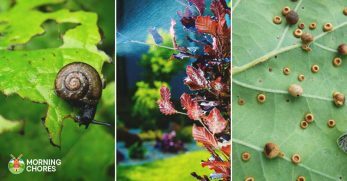 Kuhn Rikon guarantees their products with a 2-year warranty and will replace any defective or malfunctioning part at no charge if it is returned within the warranty period. If you are looking for a fast, effective, and mess-free way of chopping onions, vegetables and all sorts of ingredients, the Brieftons QuickPull Food Chopper is an excellent choice and worth every cent. 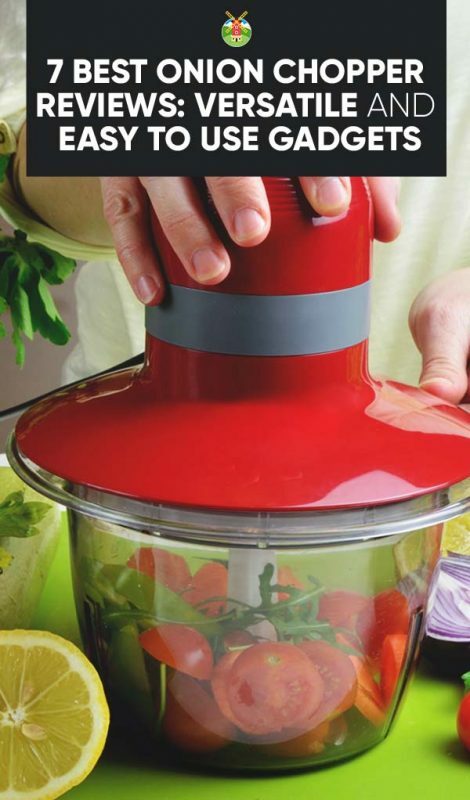 This powerful general purpose manual food chopper will make all of your food chopping prep so much easier, you will wonder how you ever got along without it. Brieftons has designed a lightweight and compact chopping dynamo that is highly versatile as it can chop, mince, mix, blend and puree all sorts of food like onions, garlic, vegetables, fruit, meat, nuts, and herbs to prepare a salsa, salad, pesto, coleslaw or guacamole. 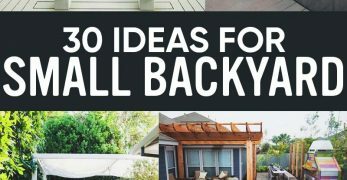 It can even chop ice, and so much more! The food chopper features a cutting rotator with 3 razor sharp stainless steel blades that deliver a high chopping performance so that even the toughest of food prep tasks can be done faster than cutting with the sharpest of kitchen knives. 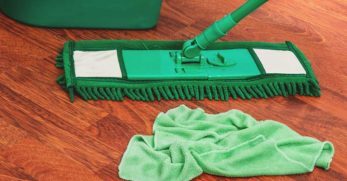 There is an anti-skid base to keep the unit securely on the countertop and the soft grip green and white lid allows you to rest your hand comfortably while you hold the large handle and pull on the easy pull cord. For chopping onions, the Brieftons food chopper will make any tears or irritated eyes a thing of the past, as its sturdy lid fits securely onto the container keeping the onions inside the bowl, so can chop away until you are ready to empty the container. One of the highlights of this multifunctional kitchen tool is its plastic container that can hold up to 4 cups of small or large ingredients. The QuickPull food chopper also comes with an extra mixer blade for mixing and blending ingredients. For extra safety, the blades are all concealed during operation and the lid and container are BPA-free food safe ABS plastic. The Brieftons is one of the easiest food choppers to clean the blades and bowl are all top-rack dishwasher safe and the components come apart for easy cleaning. 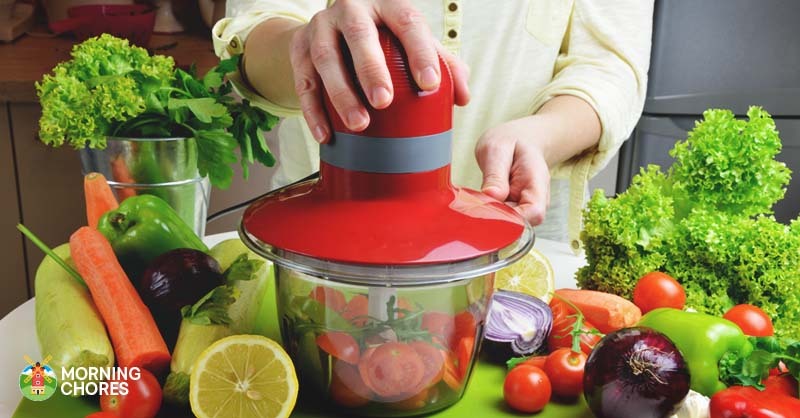 The QuickPull food chopper also comes with an extra mixer blade for mixing and blending ingredients. For extra safety, the blades are all concealed during operation and the lid and container are BPA-free food safe ABS plastic. The Brieftons is one of the easiest food choppers to clean the blades and bowl are all top-rack dishwasher safe and the components come apart for easy cleaning. Do not forget to take this handy chopper with you on your next camping trip as this convenient gadget does not need electricity and you do not have to worry about the noise level. As this is quite a powerful kitchen gadget, it can pulverize soft vegetables or fruit so just make sure that you follow the instructions for chopping softer food items and if you want to chop hard vegetables, you will have to cut them into smaller pieces first. 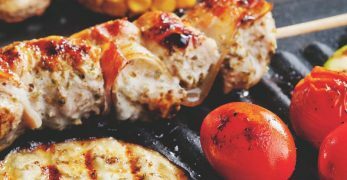 Three downloadable recipe books with great recipe ideas are available from the Brieftons website. If you are not happy with your food chopper, Brieftons also offer a full unconditional money back guarantee. The Ninja Express Food chopper delivers a fast and consistent chopping performance at just the press of a button. If you are fed up with the pain of sore eyes and the irritating vapors from onions, this user-friendly kitchen gadget makes chopping onions effortless, so there will be no more pain and no more tears. The Ninja Express is also perfect for chopping, mincing and pureeing and grinding all types of ingredients into soups, sauces, dressings, toppings, dips & more! 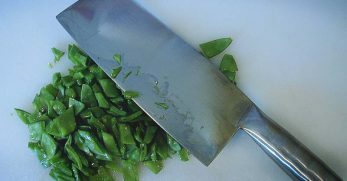 The secret to its chopping success is the special Ninja blade technology that chops vegetables evenly every time so it is one handy gadget to have in the kitchen. 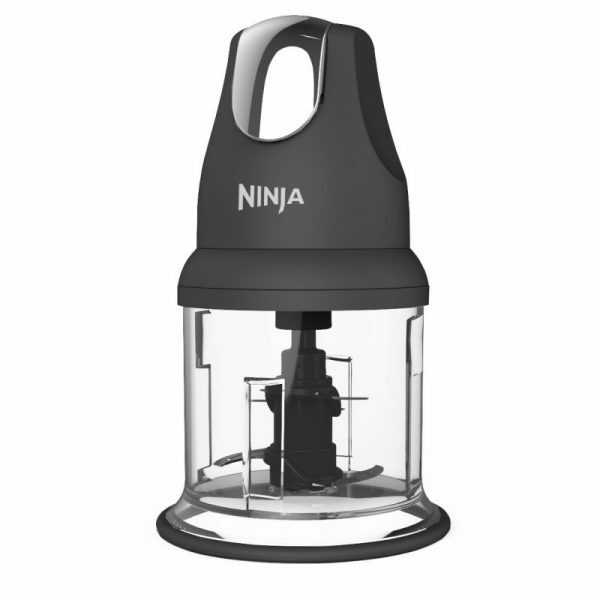 The Ninja Express is made from solid BPA-free gray plastic with an ergonomically designed power head and as it draws on the power of electricity with a 200-watt power pod, its one-touch pulsing gives you perfect chopping results in just seconds. 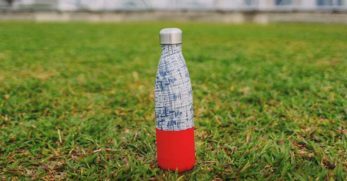 This excellent gadget has a compact size and its splash guard even doubles as a storage lid. The 3-cup container can hold a lot of chopped ingredients and all of the parts can go straight into the dishwasher. The Ninja Express is covered by a 1-year limited warranty. If you have to prepare meals for one or two people and you love your electrically powered gadgets and want a quick and easy way of chopping onions, this powerful food chopping unit from Proctor Silex is tailor made for you and it comes at a very affordable price. 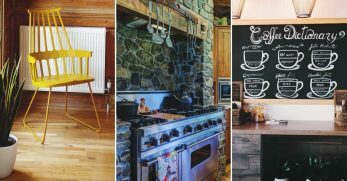 This super kitchen gadget features a compact and modern design which will look great in your kitchen and will only take up minimal space on the countertop. It may be small but this sturdy little unit works like a mini food processor and with just the twist of the handle on the lid, its extra strong pulse function kicks the sharp stainless-steel processing blade into action and delivers a reliable and fast processing performance for all of your chopping food preparation tasks. 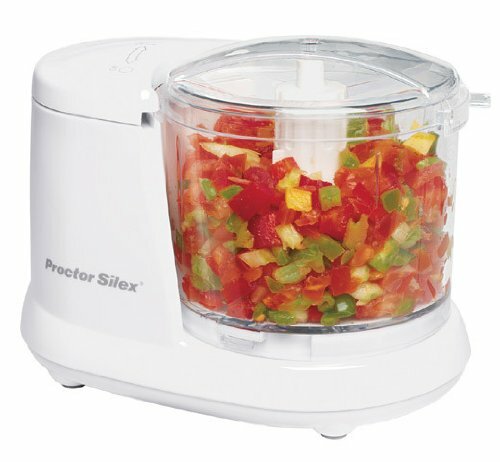 Whether you need to chop onions or vegetables or fruits, herbs, cheese, nuts, chocolate or mince, the Proctor Silex food chopper gives you exceptional control over the chopping and mincing of your food and will reduce your food prep time, which gives you more time to enjoy your culinary creations. 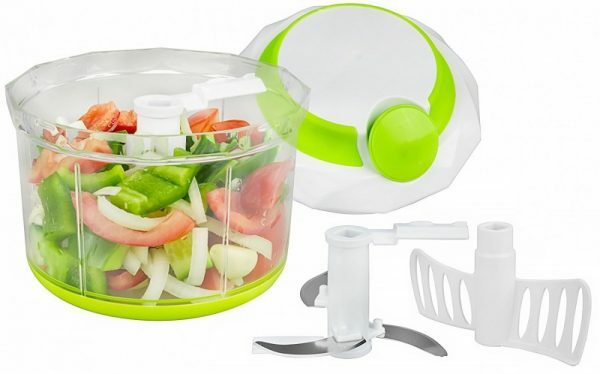 The food chopper is made from strong ABS BPA-free plastic and the stable base helps it to stand firm on the countertop and the transparent bowl has a 1 ½ capacity and the transparent lid fits securely to keep the ingredients inside. When your food has been chopped or minced to your desired consistency, the container and lid can be cleaned in the dishwasher. The Proctor Silex food chopper is covered by a 1-year limited warranty.